knock2+ knock²+ Notification Notifications on screen [APP] Knock²+ v2 - It's officially out! [APP] Knock²+ v2 - It's officially out! There's been lots of talk in the community about getting on screen notifications and there's been plenty of app that have made it out to the public. This time it's version 2 of Knock²+ that people are rocking on their lockscreen. With it's dynamic look and feel Knock²+ offers the ability to display the notification in the apps main colours. 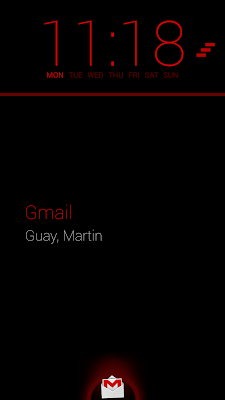 For example if we take the Gmail app you'll notice that it will display the notification in red. This is what Kevin is bringing to us with his application; stylish notification on the lockscreen, crafted animation, low energy consumption and the battery usage is definitely low. It doesn't require a rocket science degree to work with the application. 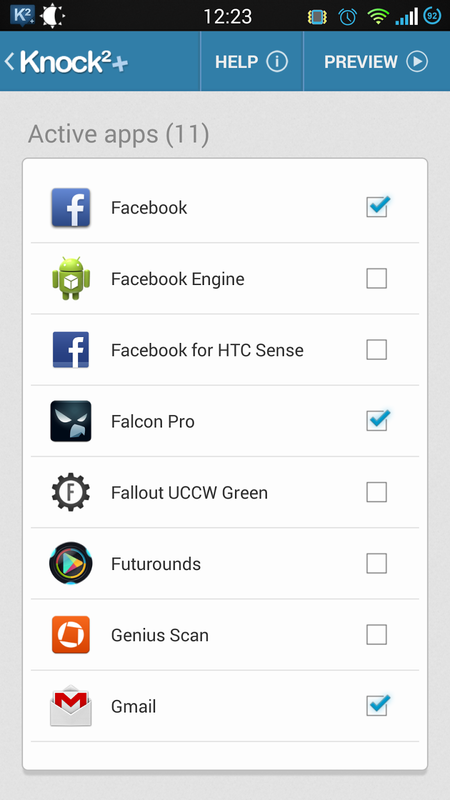 All the options are easy to find and you can change the aspect of almost everything on the app. The "Active Apps" specifies which app will be allowed to generate the on screen notification, so simple that if it's not checked it won't show up on the screen. There's a section labelled "The feedback", this is the type of notification options; Led flash, Sound or Vibration Feedback and even the ability to set a reminder trigger. The developer has provided lots of options in the way of customizing your notification and I'm quite pleased with all these options. Some of you might actually be concerned about the battery usage and there's actually a section for that under "The Performance". Pocketmode allows for the app to detect using your smartphone sensors if it should display the notification or not. Very useful as most of us wouldn't want the display to stay on and keep using the battery, which brings me to the timeout and dimmer options that this includes. You can set the app to a specified time frame when it will just dim the display and turn it off. In the end the only thing you can do is try the application and judge for yourselves if this is the on screen notification for you. I'm giving this one a high five in my book.